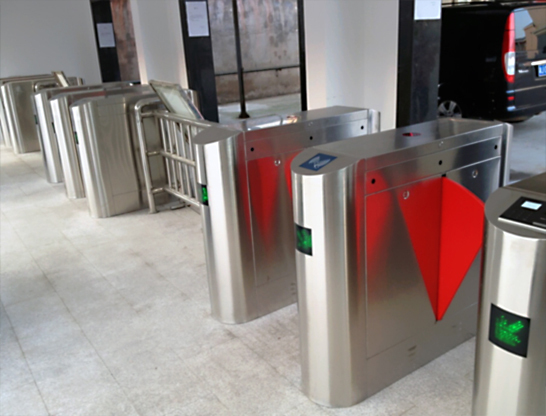 The pedestrian gate is used in many fields and is a guarantee of safety and convenience. However, how to repair the pedestrian gate? 1. After the card is finished, the swing does not open the door, there is no response, or it does not automatically turn on after the power is turned off. Check again, whether the open signal line is dropped, check whether the open signal indicator on the main board receives the open signal. .
2. The working state of the direction indication is that the green arrow points to the left, to the right, or to the red cross. If the direction indication does not respond, or the direction indicated is incorrect. You can switch to another test and try it with a good one. Recheck the wiring. 3. The pedestrian gate has an automatic opening function after the power is turned off. If the power is not turned on after the power is turned off, the cause is that the backup battery (battery) voltage is not enough. The multimeter can be used with a voltage of 10V or more, and no maintenance is performed. 4. After the pedestrian gate is swiped, there is one open and one open. Recheck that the sync cable is connected. After ensuring the connection, the motherboard that cannot be opened has received the signal of opening. If not, recheck whether the wiring is dropped or not, and whether the plug on the motherboard is plugged in. 5. After swiping, swing is turned on, but swing is not off. This situation is usually caused by the fact that the middle anti-pinch infrared is not good. Before fixing the chassis, you must determine the infrared alignment to open the door normally. If there is no good infrared, after the power is turned on, an alarm will be given. After swiping, please press the direction indicator arrow to exercise. The above is the method of repairing the pedestrian threshold. Flap barrier gate and swing barrier gates troubleshooting.